SOURCE CNN – A soldier on duty near the Louvre museum in the French capital, Paris, opened fire on a man who attempted to attack him with a knife, officials said. 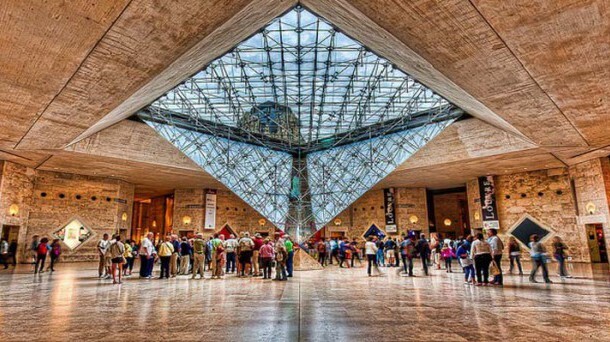 The man had rushed towards a group of soldiers and guards in the Carrousel du Louvre, the underground plaza near the museum, according to Michel Cadot, the Paris prefect. The soldier fired five shots. The attacker was armed with a knife, was wearing two backpacks and may have had a second weapon. He was seriously injured by a bullet to the stomach, Cadot said. The solider was lightly injured.No explosives were found in the man’s backpacks. The suspect has been taken into custody alive. About 200 people are in lock-down inside the Carrousel du Louvre shopping mall and the metro station has been shut down, Cadot said. The French Interior Ministry tweeted that there was an ongoing “serious security incident” near the Louvre.